I was rather happy to see this challenge over at Red carpet studios.... 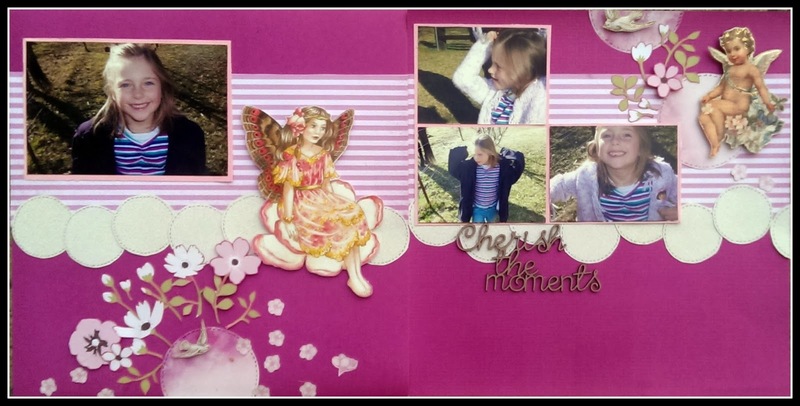 I love fairytale themes and I also love using up my stash..... Everything on this page came straight from my scraps and offcuts bag except the title! such an eye catching layout. very pretty. Thanks for sharing with us over at Red Carpet Studio! Beautiful 2 pager. Thanks for playing at RCS. I love that background color! Crisp and yet delicate layout. It's simply lovely. Thanks for sharing your project at Red Carpet Studios!